The city of Parma is nestled in the fields of the Emilia Romagna region, stretching across the northern part of Italy’s boot. Considered the most culinary area on the planet, it’s the birthplace of the world’s most appreciated cheese, meat, and wine. This place has got the goods. The small city of 180,000 has one big treasure: Parmigiano Reggiano, otherwise known as parmesan cheese. Forget that crappy Kraft powder in the canned goods aisle. 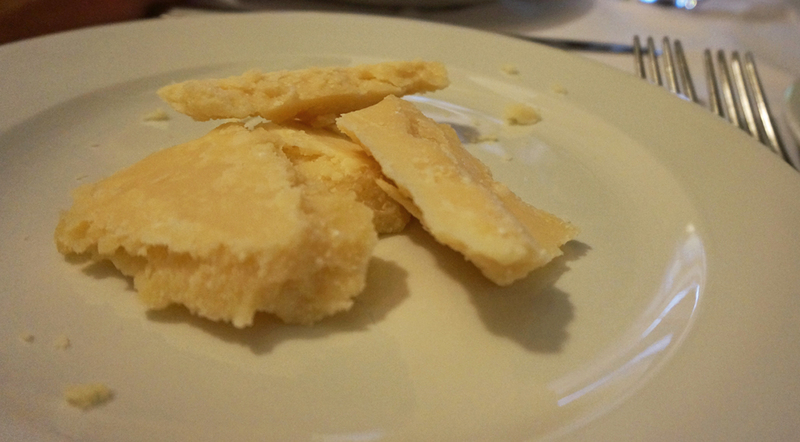 Biting into a big chunk of authentic parmesan is nothing like you’ve ever tasted: Gritty, crumbly, and fragrant, it embodies the nature and nurture of the region and it’s people. Parma means ‘round shield,’ a shape echoed in the giant rounds of parmesan which are cured, cut, and eaten in this town. 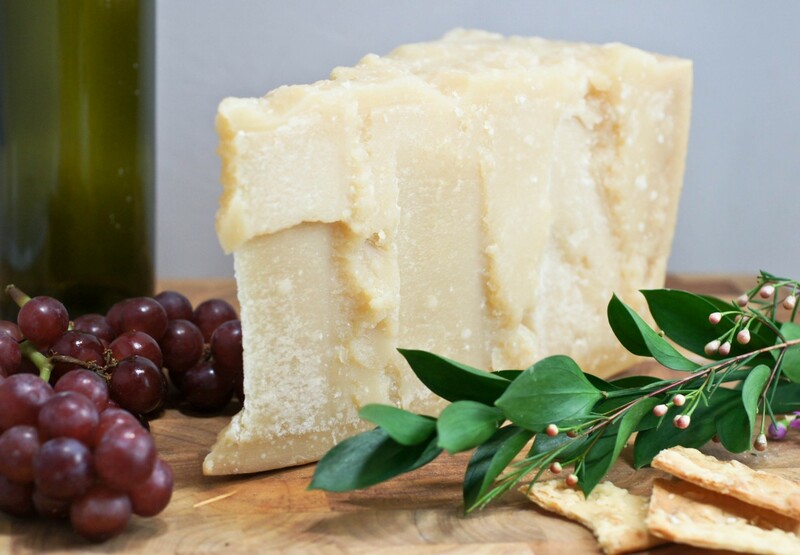 This cheese is old, created around 1200BCE by monks; parmesan is aged from 12-36 months to cocoon its salty flavour. Parmesan is not only for grating over pasta. 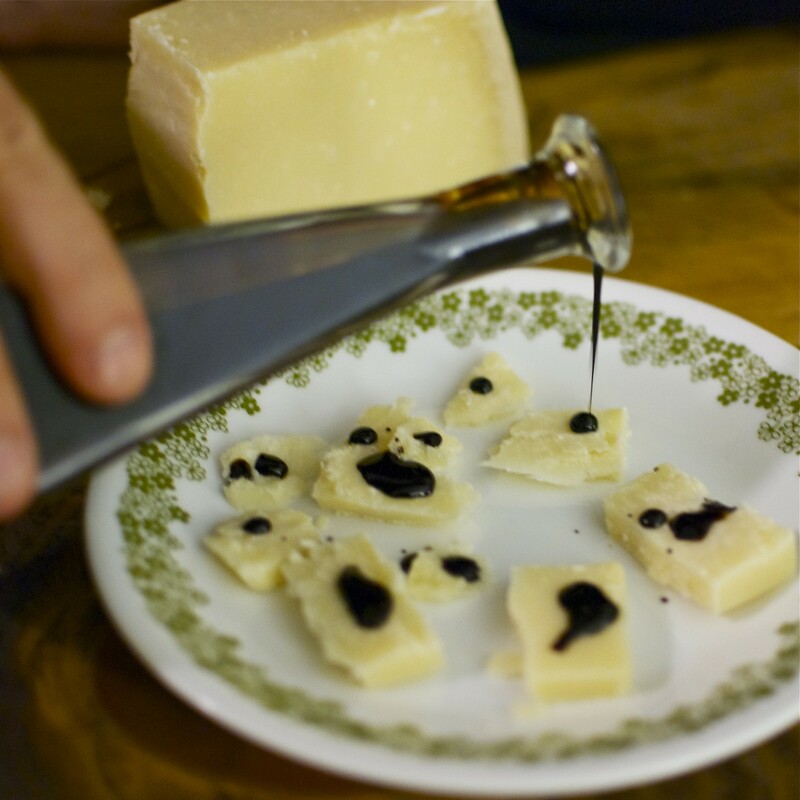 It’s best served in chunks on it’s own, with fresh fruit, or with a drizzle of aged balsamic vinegar from neighbouring Modena, the birthplace of balsamico. You can put it in soups for extra flavour; parmesan is versatile. Only Parmigiano Reggiano produced in Emilia Romagna can lay claim to the name, the rest is imitation. In fact, a lot of the parmesan cheese in North America isn’t authentic. When buying in supermarkets, make sure to look for the POD stamp, or ‘protected designation of origin,’ giving parm it’s street cred. Or, you could just go to Parma and eat all the cheese. 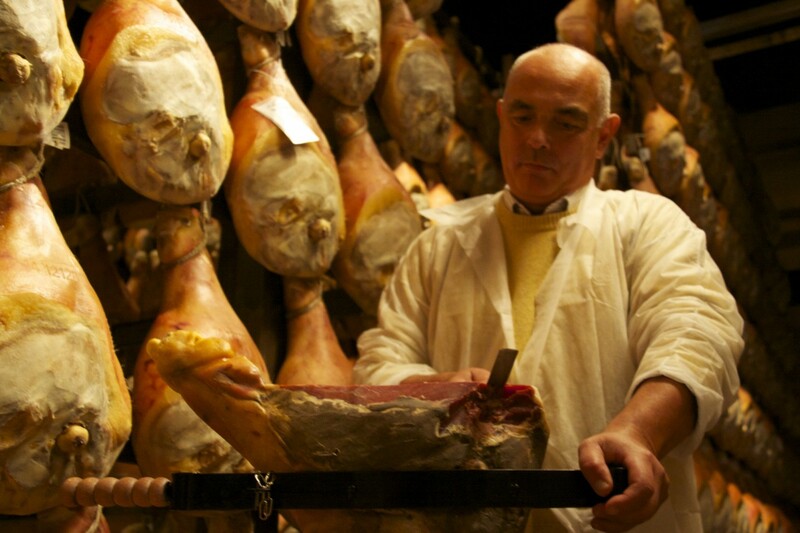 Walking along the cobblestone streets of Parma, you will without fail come across a prosciutteria with dozens of hanging pork legs flanking the windows and walls, and owners more than willing to slice you off some of the delicious. These legs are cured for at least 70 days in sea salt making their flavour distinctively salty. Parmesans claim the breezes off the Po River also contribute to its delicious and unique flavour. Traditionally, it’s served prosciutto crudo, meaning uncooked, and most Parmesans will tell you it’s the best way. Prosciutto is thin sliced and soft, the fat melts in your mouth: this ain’t no ordinary sandwich meat. 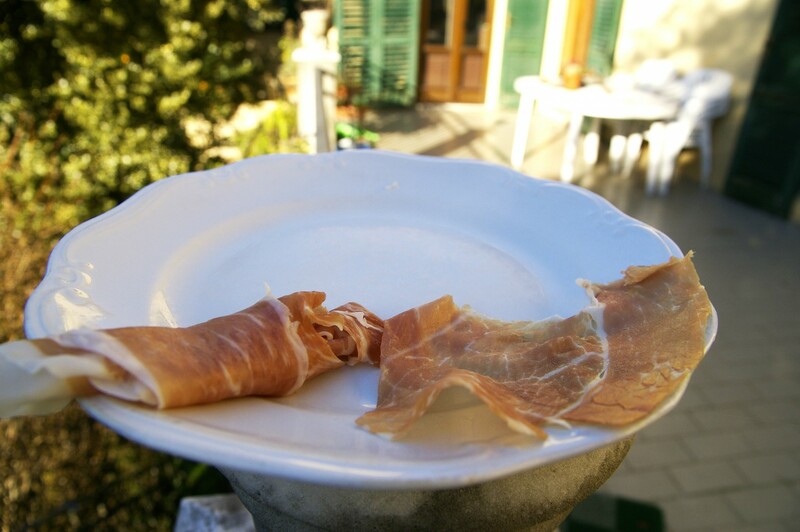 It’s surprisingly easy to eat a plate of prosciutto as an apperitivo. Delicious stuffed pastas are also claimed by those clever Parmesans. 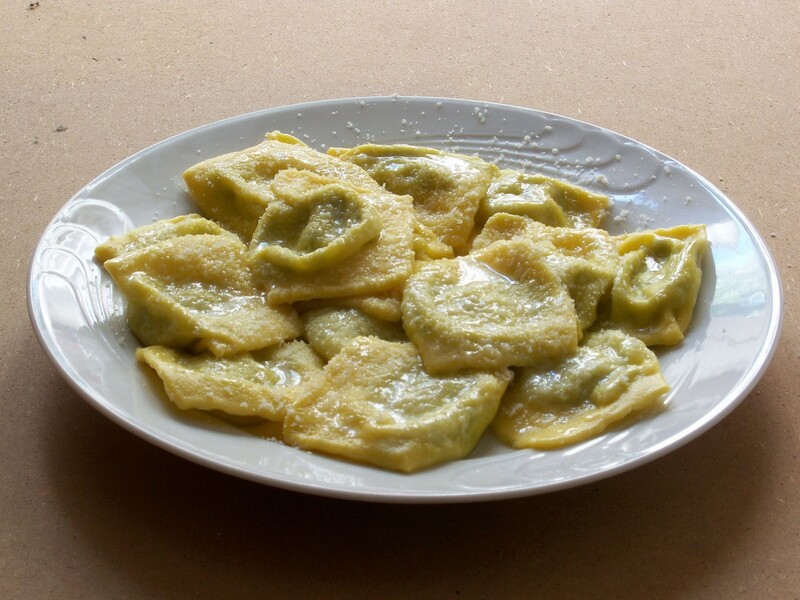 Classic dishes like Tortelli d’erbetta hail from this bountiful region. Tortelli d’erbetta or ‘ravioli with herbs’ is on every menu in the city, and it’s a must have dish on June 24, the feast day of San Giovanni. 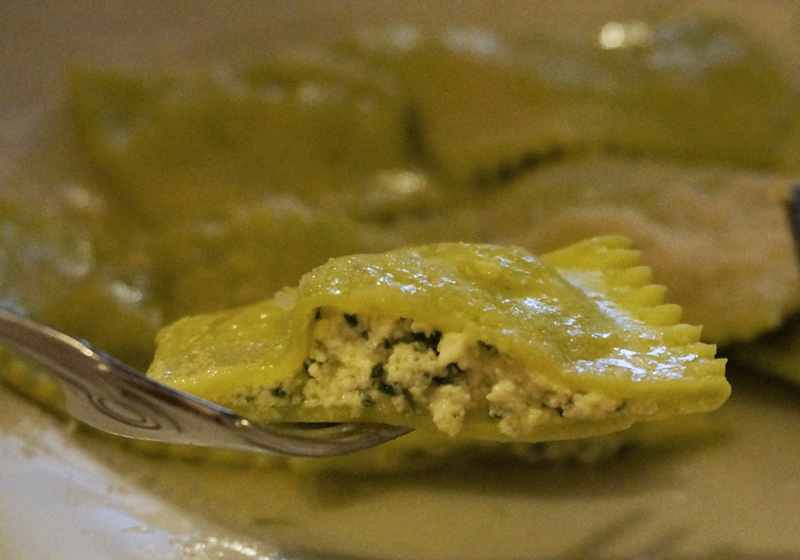 These pillows of green are made with fresh rolled pasta and served with a simple sauce: butter. Straightforward perfection. 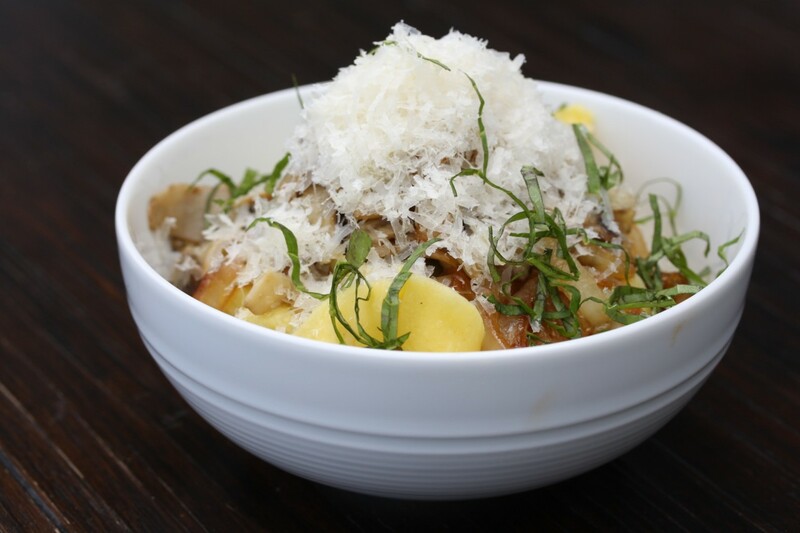 Pair these dishes with a Lambrusca secca, and you’ve got a meal any Parmesan could brag about. 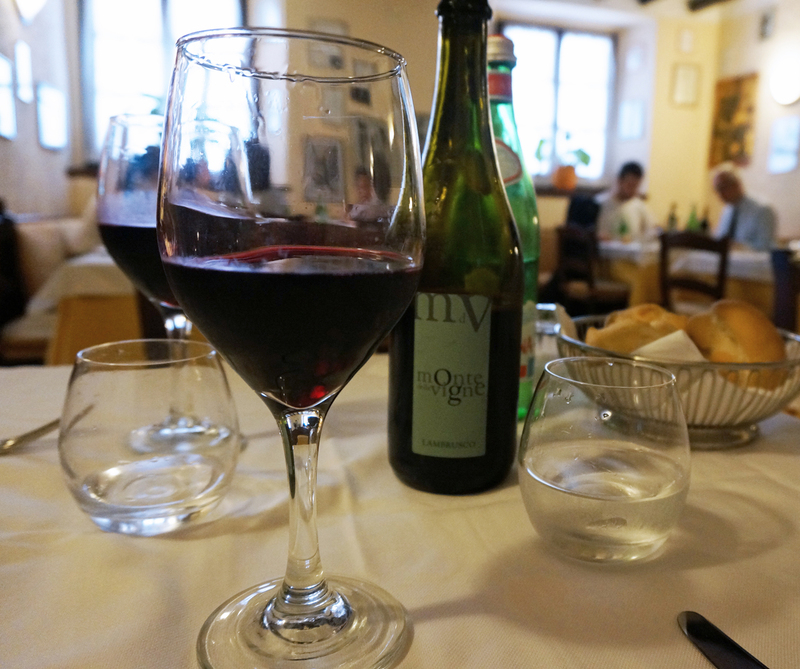 Lambrusco is a dry red wine, is frizzante (lightly effervescent) and served chilled. Champagne’s dark and dirty cousin, this earthy wine is a perfect compliment to the meats and cheese of Emilia Romagna, or anywhere for that matter. To be Parmesan is to embrace quality ingredients, so go forth and be cheesy. Gabby Peyton is a freelance writer based in Halifax, Nova Scotia. She writes about food and travel on her blog The Food Girl in Town and has been published in Eat In Eat Out. Gabby has travelled through 15 countries and believes eating is the best way to experience culture. Her appetite for travel has lead to many adventures including a summer on an archaeological dig in Turkey. If she could eat one thing for the rest of her life it would be cheese.